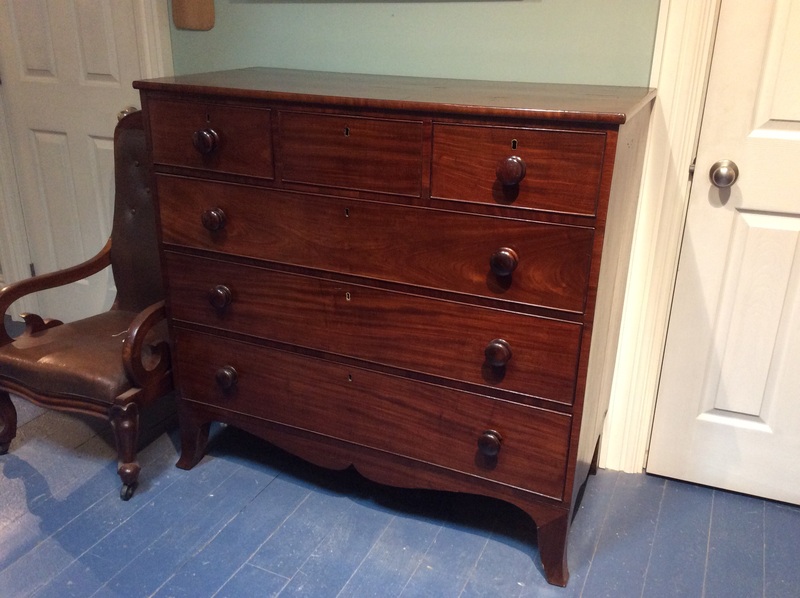 French polished early mahogany chest of drawers. Nice flared French foot. Prossessional polished. Circa 1830.